More and different types of data could be handled at one time to avoid data bottlenecks. A Texas Tech University computer scientist received a $1 million grant from the National Science Foundation (NSF) to create a faster, better method for supercomputing. 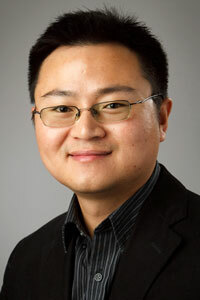 Yong Chen, an assistant professor of computer science and director of the Data-Intensive Scalable Computing Lab, will lead a team of researchers to develop a new concept called “compute on data path” toward “data-centric” computing that assimilates and analyzes more and different types of data used in scientific discovery and does so all at one time. Chen said he and other scientists will lay groundwork for a new data assimilation computing concept capable of combining data that may not be similar. As data volume grows over time in this “computing-centric” model, the data floods into the computer system, creating a bottleneck of information. “The traditional computing-centric method is not really the best way for today's 'data-intensive' scientific discovery,” he said. “This three-year project will develop new concepts and methodologies of 'data-centric' solutions. We're going to model computations and data as objects and move the computation objects to the data objects instead of moving the data to the computations. We will try to make the computations happen right in place with the data for better performance, efficiency and productivity in scientific discovery via computer simulations and analyses. The National Science Foundation (NSF) is an independent federal agency created by Congress in 1950 "to promote the progress of science; to advance the national health, prosperity, and welfare; to secure the national defense"
With an annual budget of about $6.9 billion (FY 2010), they are the funding source for approximately 20 percent of all federally supported basic research conducted by America's colleges and universities. In many fields such as mathematics, computer science and the social sciences, NSF is the major source of federal backing. View a 2 minute video overview of NSF's mission and focus.